Diamond Head is defined by its residents’ vibrant energy, appreciation of the arts and enthusiastic participation in life. Diamond Head has lots to offer including tai chi in Kapiolani Park, yoga classes on the beach with the beautiful backdrop of the sun rising in the early morning, hiking Diamond Head and sampling island produce at local farmers markets. Annual events held at Kapiolani Park such as the Okinawan, Filipino and Korean festivals, the Honolulu Marathon and Susan G. Komen Race for the Cure draw thousands of locals and visitors alike. Listed on the State’s Historic Register, Kapiolani Park serves as Diamond Head’s gathering place as it is home to art shows, concerts, tennis courts, baseball and softball diamonds, soccer and rugby fields and an archery range. The Waikiki Shell Amphitheater has hosted memorable performances by Jimi Hendrix, Van Morrison, Bob Marley, Sheryl Crow and Norah Jones and local artists including Jack Johnson, Makaha Sons, John Cruz and Jake Shimabukuro. The volcanos in Diamond Head have been extinct for over 150,000 years. It’s famous name of Diamond Head came about when British seamen witness the sunlight reflecting off of its calcite crystals. The seamen believed that the calcite crystals sparkled like diamonds and despite their disappointment, the name stuck. In addition to enjoying a picnic at Kapiolani Park, families also enjoy spending time at the Honolulu Zoo and the Waikiki Aquarium, which is home to two endangered Hawaiian monk seals, Nuka and Maka. Here you will also find Diamond Head State Park, the world’s most famous volcanic crater. The hike up to the top of the crater includes a steep, 99-step staircase, a lighted 225-foot tunnel and a spiral staircase, but the stunning views of Waikiki and from Waianae to Koko Head makes it all worthwhile. 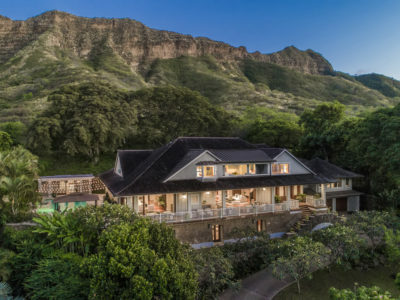 Neighboring Waikiki, the close proximity to the beach and ocean makes Diamond Head an attractive location for many, especially those who love outdoor activities such as surfing, kayaking, swimming, biking, running or hiking. Some of the best dining can be found at nearby Kapuhulu Avenue and the neighborhood of Kaimuki while retail therapy is just a short drive away to Kahala Mall.